The Oscars are pretty much the culmination of the winter awards season. It's the biggest and best awards show so the celebs usually don't hold back. I absolutely loved some of the looks this year. Below are my best and worst fashion picks. I loved this fabulous sparkly, sheer, firecracker dress. I'm a sucker for gradient sparkles...as you'll see with some of my other top picks. She's fashion royalty. She's always stunning and this black dress has an awesome silhouette. I absolutely love the pop of color in her turquoise statement necklace. I loved this stunning red dress. The silhouette and the fit are incredible. It's classy, yet interesting and updated. A+! I love this color on her with her skin tone and hair. The top halter neck part is so interesting how it wraps around the hardware and the sheer panel down the middle keeps this dress from looking like a prom dress. So pretty! This dress was a lot sparklier on video camera. This photo makes it look duller...but it's still stunning. She always has great style and this is a great modern look without being too over-the-top. I also love her hairstyle here. It's like a barely-there wave and I heart it. Yet another example of a gradient sparkle dress that I adore. This silver number has a very classic fit on Anna but the sparkles make it more "Oscary". OMG I'm obsessed with this. It was so much more sparkly on camera. I'm obsessed with the gradient sparkles (of course) and the monochromatic look of her dress and her skin. LOVE LOVE! This just looks very cheap to me. It's like a cheap stripper costume. 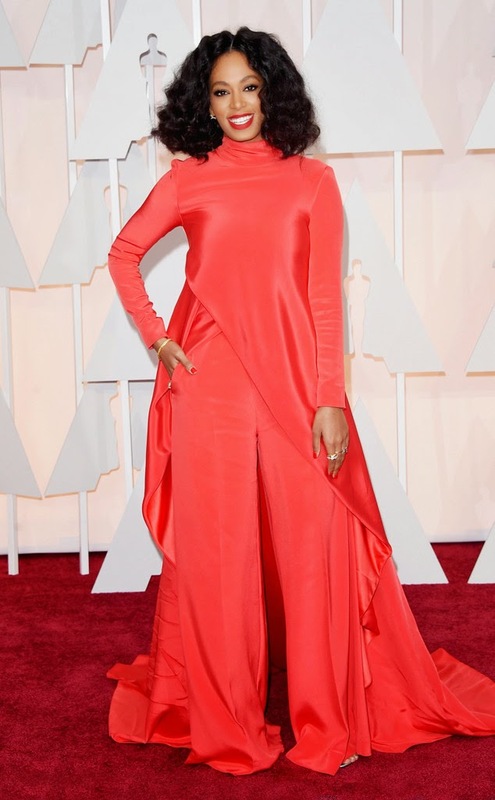 This look is WAY too Grammy than Oscar. It's just not classy enough. Also, those lips? Too dark. I don't get this. At all. It's just weird and large and is it a dress? Pantsuit? Jumpsuit? I'm confused. Oh Gaga. It's not as if I had high hopes...but this is just being weird for being weird. Maybe a strapless dress and no gloves and I could get behind it...but this is strange. 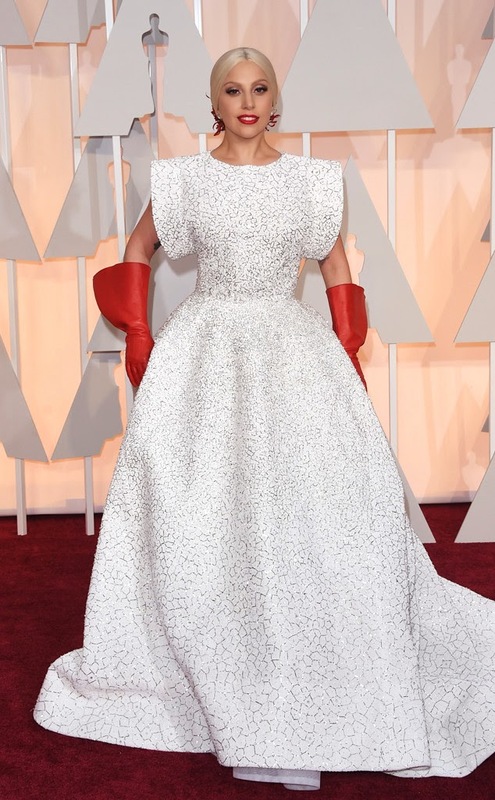 I think it's because the gloves look like rubber cleaning gloves...no? What do you think about my picks? Agree? Disagree? Yes, J Lo and Anna Faris were the best! I like your picks. I wasn't overly wowed by anyone this year. i dont think i could agree w/ you more. rosamund was my #1. i also loved reese. and scarlett's dress was fab, swap out that necklace she wore with a chunky silver rope necklace and i'd be sold. LOVED naomi's dress, but i think its more grammy's than oscars. however still amaze. I hadn't been a fan of many of Rosamund Pike's looks prior to this, but she looked FAB! I disagree (sorry) with Jamie Chung's. I didn't think it was an "Academy Awards" look to me. I totally agree with you about Chrissy Teigen. To me, she should have worn this to the Grammy's and her Grammy look to the Oscars.